Pro/Rel would make me interested in the MLS again. It gives everyone something to play for and it forces owners to try to win. Too many owners in the US are only trying to make money and don't care about winning. And that's the way it is in all sports, not just soccer. Force teams to try to win, rather than signing 40 year old David Beckham's just to sell jerseys. I would gladly help fill up a 10,000 seat soccer specific stadium to help my local team get promoted or avoid relegation, and maybe even pull a Leicester. Tottenham knocks off Dortmund on the road 2-1 to win the Group of Death (H). This is good news for Fire fans. Will put pressure on ownership to perform. nice! i can probably walk there from my current house. but by time it's open, i'll have moved out of walking distance. No real "group of death". 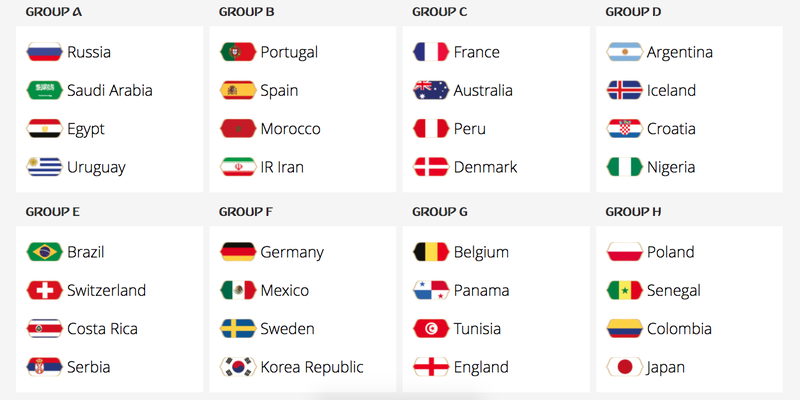 Group F looks the toughest to me. England got one of the easier draws but it would such an England thing to do to get knocked out early. Looks like Liverpool had a pretty good away leg against Porto today. MLS season set to start this weekend. Biggest news leading into the season is that USMNT player and Seattle Sounders forward Jordan Morris will be out for the season after tearing his ACL in his right knee during a CONCACAF Champions League match in El Salvador just over a week ago. Opening weekend matches this weekend include the reigning champs Toronto FC hosting Columbus tomorrow. Nationally televised matches on Sunday include Seattle hosting expansion side LAFC, Sporting KC hosting NYCFC, and the LA Galaxy hosting Portland. I may and try and watch the Fire a bit more this season. I did notice they're the one team who doesn't play this weekend and will host Sporting KC in their season opener next weekend. The Fire will struggle to make the playoffs this year. Rodriguez has failed hard this off season. Mid season adds will most likely be too late. Damn shame, because they do have a good core. #HauptmanOut! After their UCL victory Zinedine Zidane has stepped down as manager at Real Madrid. The current favorite to succeed him is Arsene Wenger. Wow... How does one go from sputtering out at Arsenal for too long to Madrid? Good grief! As a Barcelona fan, I'm all for it. But wow!!! i saw even odds between Wenger and Poch. i would think Poch would be the more likely candidate. or maybe Conte? It would be a longer shot, but do they stay in house and bring up the B coach Solari??? Conte or Maurizio Sarri would be my guess. Maybe they lure Jose away from Man United??? LOL! He's done the Chelsea redux, why not Real Madrid? Poch just signed a new long-term contract last week with Spurs. It is doubtful he would have done this if he was considering Madrid. It was rumored that Zidane would step down in Madrid lost, so the potential availability of the position isn't new revelation. i agree that it isn't likely just after signing a new contract but this seems like a dream job for Poch. Maybe, but his strength has always been helping young players grow into better players / stars. He's never had to deal with all of the egos that would come with the type of players at Madrid. Plus he should actually win some hardware before taking the Madrid job. He's a great manager, but still needs to win something, IMO. Problem with Conte or Simeone is their style of play. Not sure Madrid would go for that, although they did have Jose before. I'm kinda hoping Madrid decides to go after Klopp.